Farm books are always a hit in our family. With three children, the “farm stage” was always there. Always. Mr. Fox (almost 2) is currently in the thick of it. 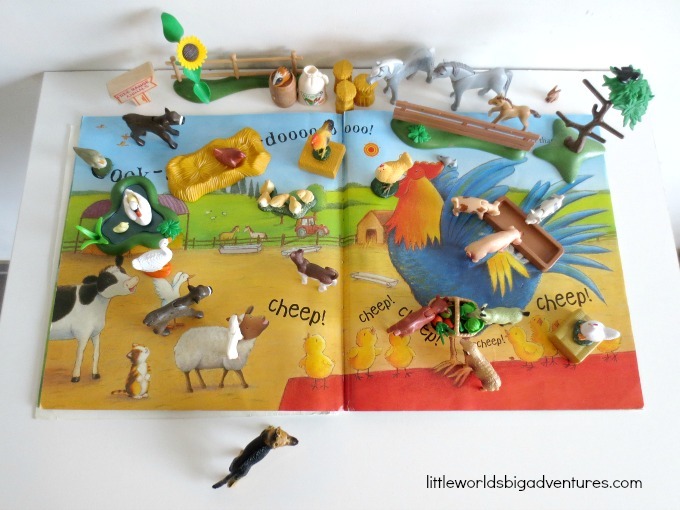 We have farm songs, noises, books, animals left and right. Now, when you have a book activity that combines all of the above, you know you have a winner on your hands. 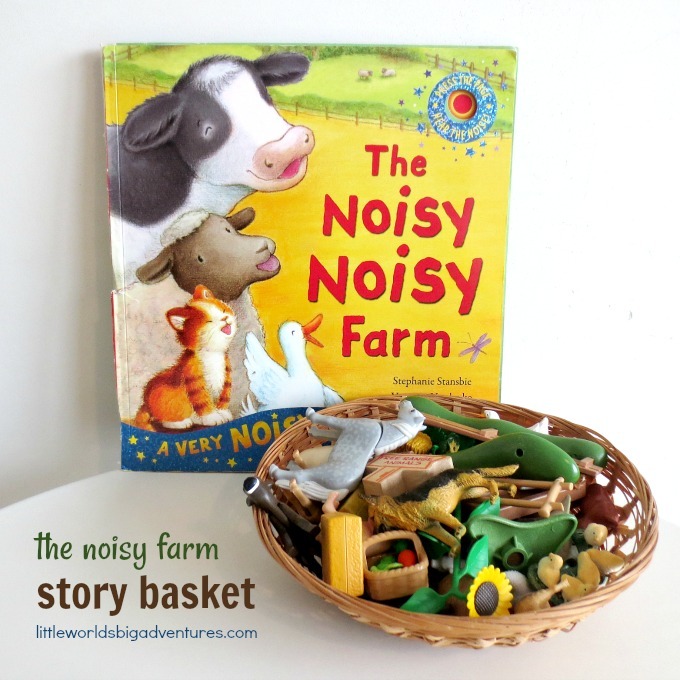 Let me introduce you to our Noisy Noisy Farm Story Basket. We got this beautiful story book from our dearly loved friends who live in Australia. The Lane family has a little farm just outside of Brisbane and sent us this book to let us know we’ll always be welcome there as it’s our home away from home. It’s a very special gift we warmly treasure, although I must mention that it is so well used, the book is barely hanging together nowadays. And the batteries have just gone flat … which we might not quite replace today. But as wonderful as the Noisy Noisy Farm book by Stephanie Stansby and Veronika Vasilenko is, you could use any farm story book you like. 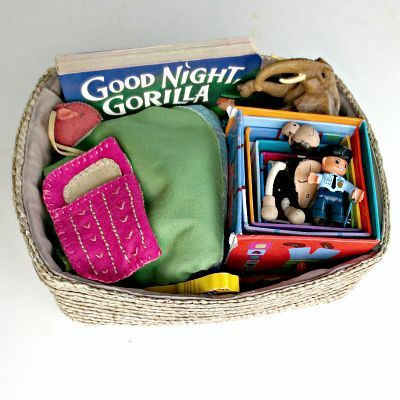 The idea behind setting up story baskets is to let children explore the story lines and characters from a different point of view. 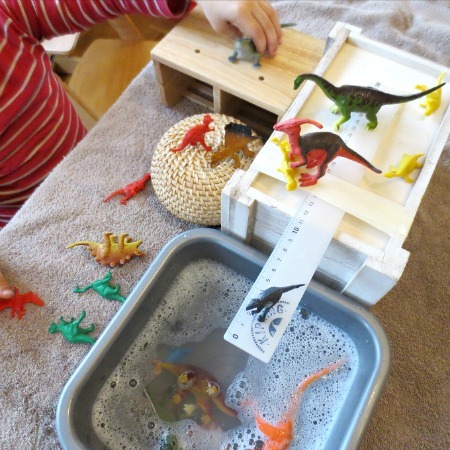 Give them the freedom to experiment and let their imagination run wild. 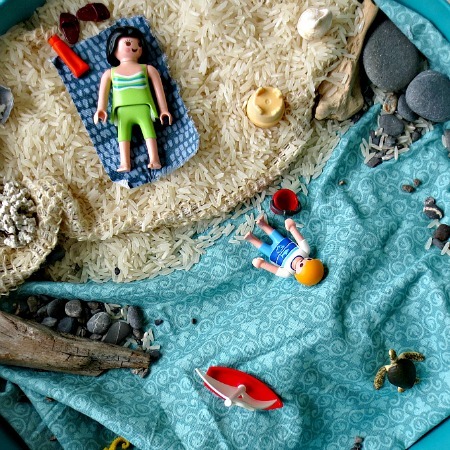 When playing out the story and bringing it alive through story baskets and small world play, it gives children the opportunity to move into that transitional stage where they process the world around them. Once you have it all in one place, the fun can begin. 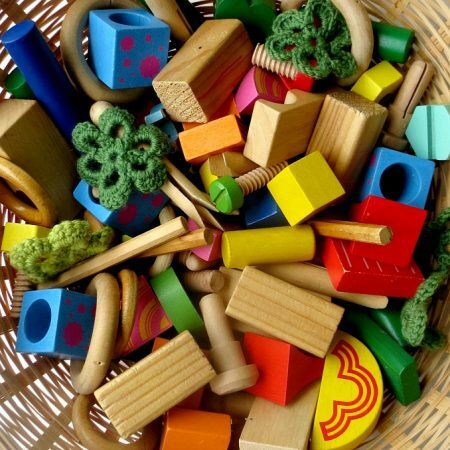 There are many ways to interact with a story basket, all of which are the right way to go. 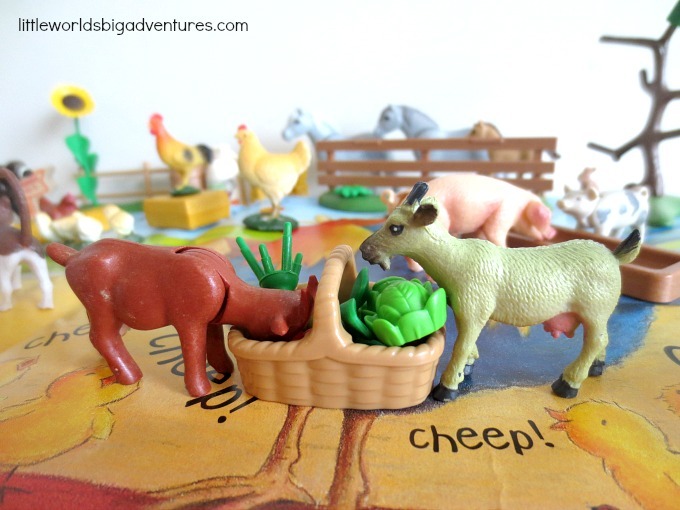 Sometimes I read the story to my kids and play it out with the props at the same time. 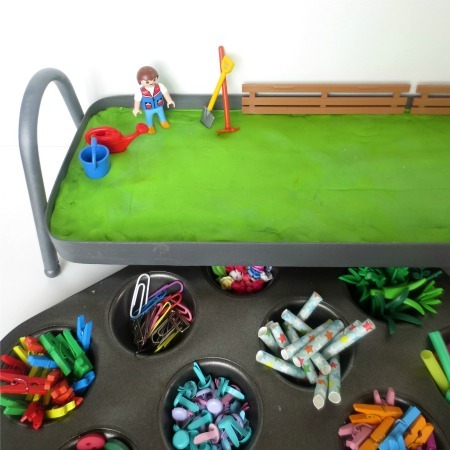 Other times I set it up as an invitation to play and let them engage with it any way they want. 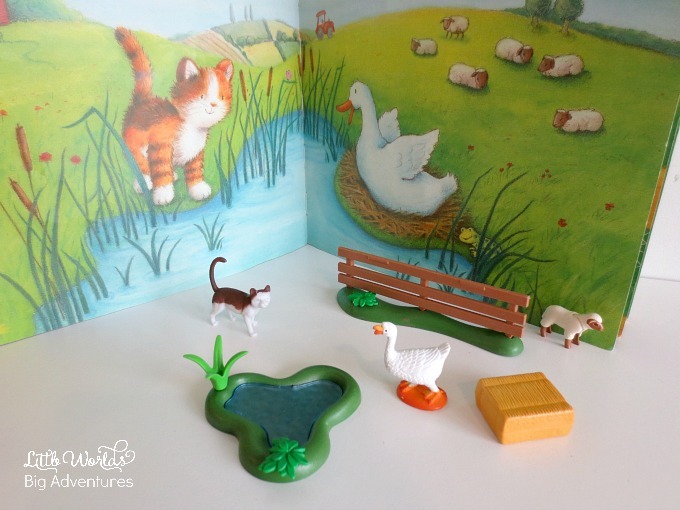 Then I have also set up many a story based small world from the story basket which is always a lot of fun too. 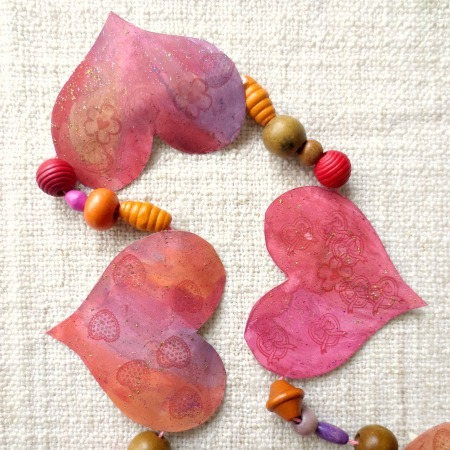 It all depends on the kids, their ages, interests, how everyone is feeling at the moment and so on. 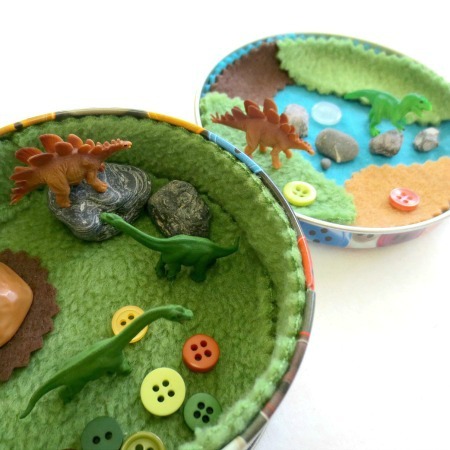 In case you’re all on board with the story basket idea and agree that it’s the next best thing after sliced bread, have a look at our other story baskets. 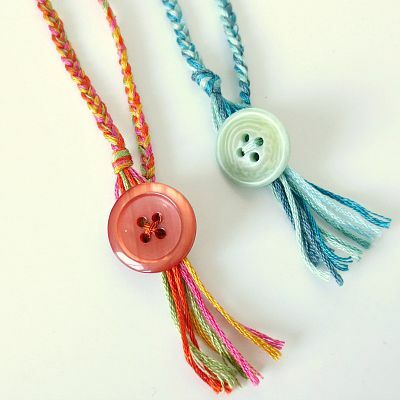 Each one is a bit different and might give you new ideas to try out. 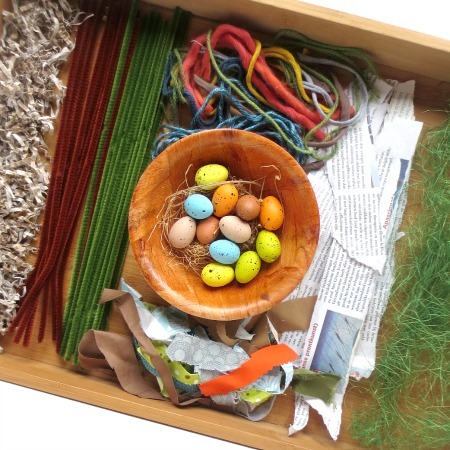 Story baskets are not the only creative way to tell a story, there are many more. 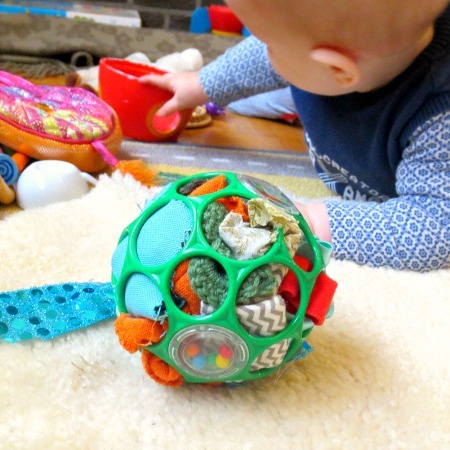 In fact, I counted 12 ways to tell a story and collected over 60 creative book based play ideas I’m sure you’ll want to skim through.